as taken by google earth. I (Charles and Mama Tembo) live in Lake Elsinore, California. 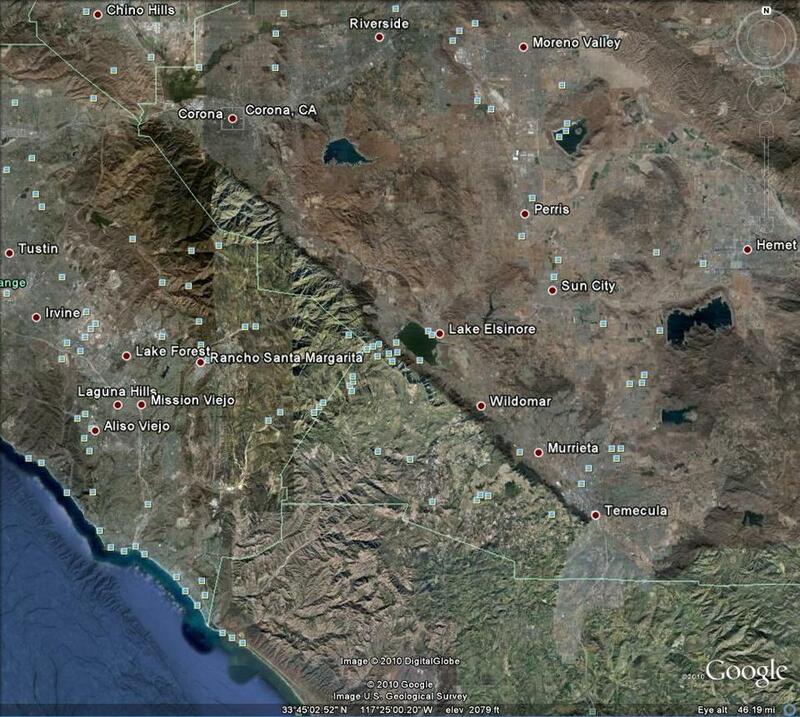 It is in Southern California about 70 – 90 miles north of San Diego and about 70 miles South East of Los Angeles. We live about 30 miles south of Safari Kay, off the 15 Freeway. Kay lives in Corona. A prospective view of Lake Elsinore from Google Earth – as taken from a satellite. 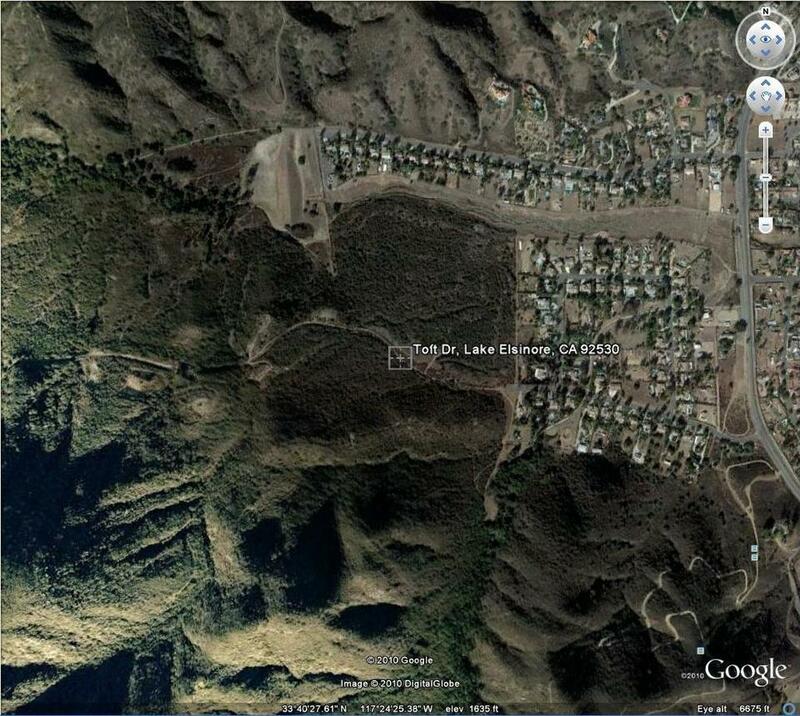 A closer view of Lake Elsinore from Google Earth – as taken from a satellite. 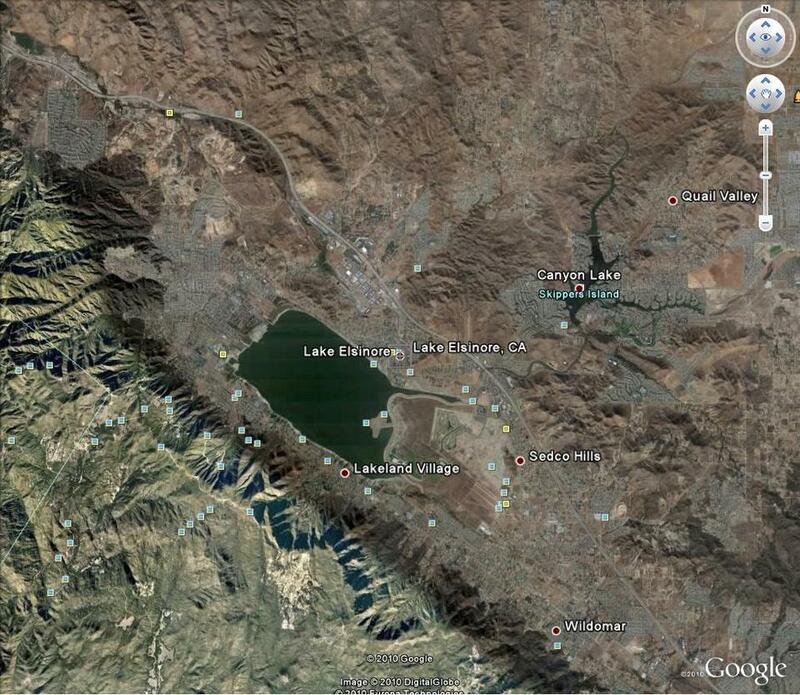 An even closer view of Lake Elsinore from Google Earth – as taken from a satellite. I live in the middle section on the right. 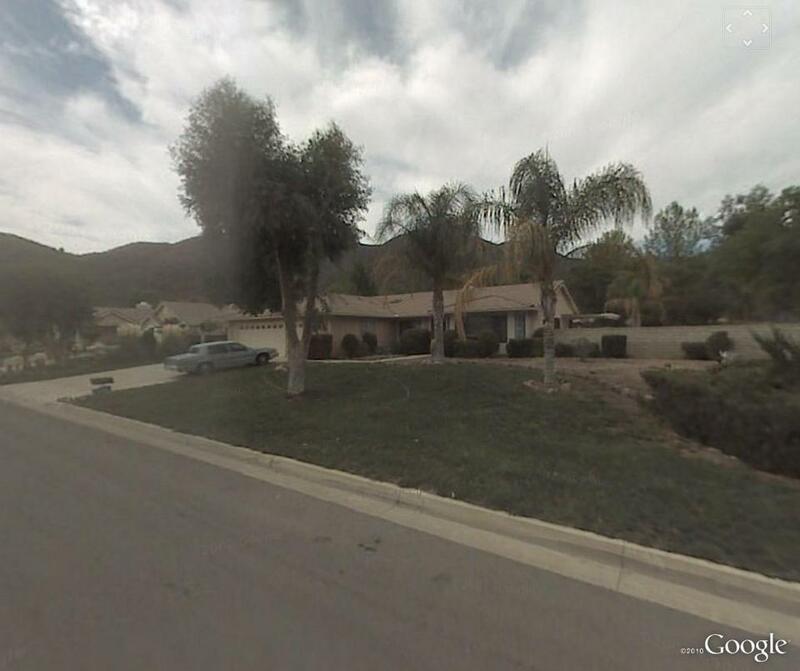 A panoramic view of my house taken by Google’s roving camera van in about 2008 or 2009.